Officers look for evidence outside the club. 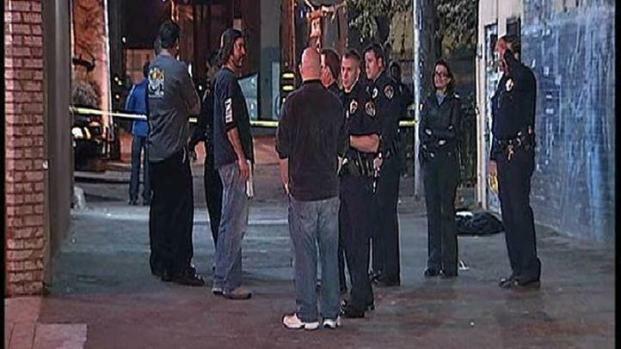 A San Diego man who suffered what his family described as “horrific” wounds in a stabbing outside an Ocean Beach bar died Monday. Andrew Bazan, 24, was found unconscious with his intestines exposed in an Ocean Beach alley on Feb. 7. San Diego Officers were called to the scene between Winstons and the Arizona Club just off of Newport Avenue. His wounds were horrific according to Tim Hinds, a spokesperson for the victim’s family. 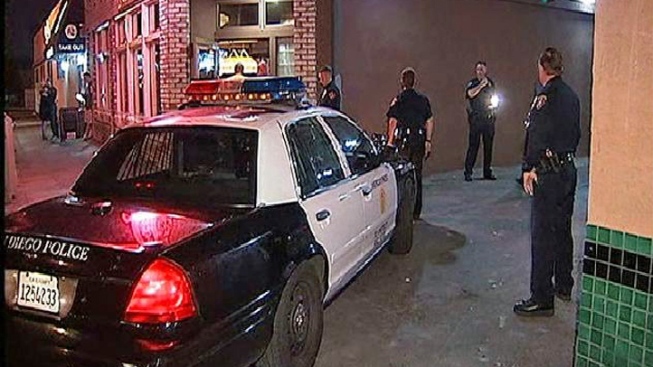 San Diego police are investigating a brutal stabbing that left a man unconscious with his intestines exposed in an Ocean Beach alley. Kelly McPherson reports. Bazan had been hospitalized at UCSD Hillcrest since he was found and at best doctors told his family he had a 50-50 chance of survival. His family members were at the hospital Monday morning when he passed away. “By the time Andrew passed, he was beyond any reasonable quality of life,” said Hinds. Bazan was a very likeable person who was loved deeply by his family members, he said. Family members said the case has been turned over to homicide investigators. “He didn’t deserve this. Anybody that has any information on this, that can help us to apprehend the person responsible for such a horrific thing, Andrew would want that,” Hinds added. Homicide investigators with San Diego police issued a statement lMonday saying there are no leads in the case. Anyone with information about this incident can call the homicide unit at (619) 531-293 or Crime Stoppers at (888) 580-8477.